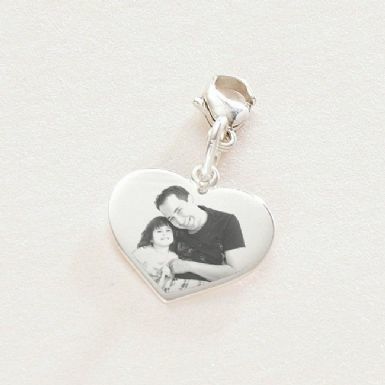 Sterling Silver Heart Charm with Any Photo Engraved. Keep a special photo close to your heart by wearing it on a piece of jewellery. This silver heart charm can be engraved with a photo of your choice and personalised on the back with any names, words, dates or messages. This lovely heart charm, one of our bereavement jewellery items, is made 100% from .925 Sterling silver. It comes complete with a lobster/trigger clasp for easy attachment to any piece of jewellery. Suitable for Links, Sabo, Sweetie and traditional charm bracelets. Charm Size: 16mm x 17mm not including the lobster clasp. 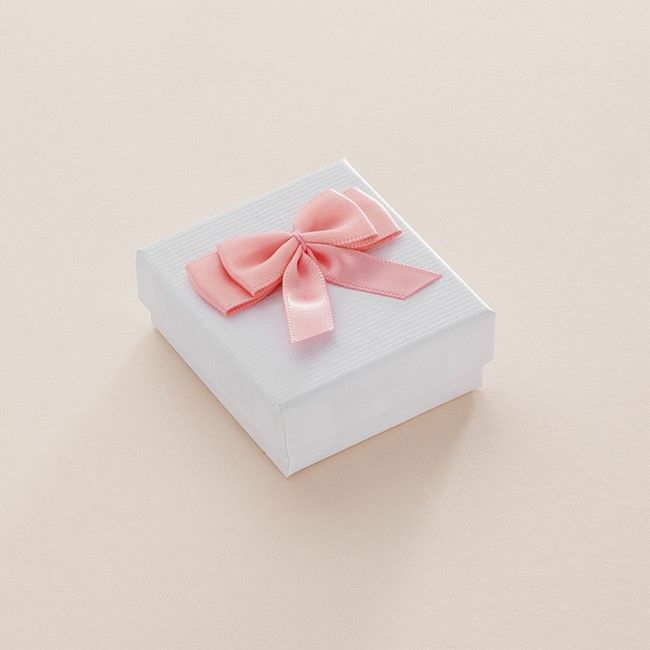 Comes packaged in a white gift box as shown. Because of the size of the charm this product is suitable for engraving one or two heads/faces. One head is ideal but two heads will work well if they are close together in the photo. Full body pictures will be small and difficult to see. We can fit a maximum of 25 characters on the back of this charm. Engraving is included in the price. Hallmarking: This charm is just below the minimum weight to require hallmarking therefore there is no hallmark. The charm is however made of .925 solid Sterling silver.